It’s almost 11 years since I first began blogging! Who would have thought that simple decision to begin a blog would have led to so many fantastic outcomes for me, for my students, and for my community? Back in 2008 I didn’t know much at all about blogging but nevertheless took the opportunity to set up a blog on Global2. After setting up my professional blog, I established a class blog. I naively thought having a class blog would just be a bit of fun and perhaps a good way to connect with parents. Little did I know there can be so many educational benefits from having a well-run classroom blogging program. This post unpacks 18 benefits of blogging for teachers and students. But first, let’s explore why blogging has lasted while other tools have come and gone. The simple reason is, a blog is more than a tool. It’s anything you want it to be. A blog is a blank canvas and a virtual home for you to set up however you like. Blogs are simply websites. The only real difference between a blog and a traditional website is that it is generally updated more frequently and usually offers interaction in the form of comments. Do websites have expiry dates? 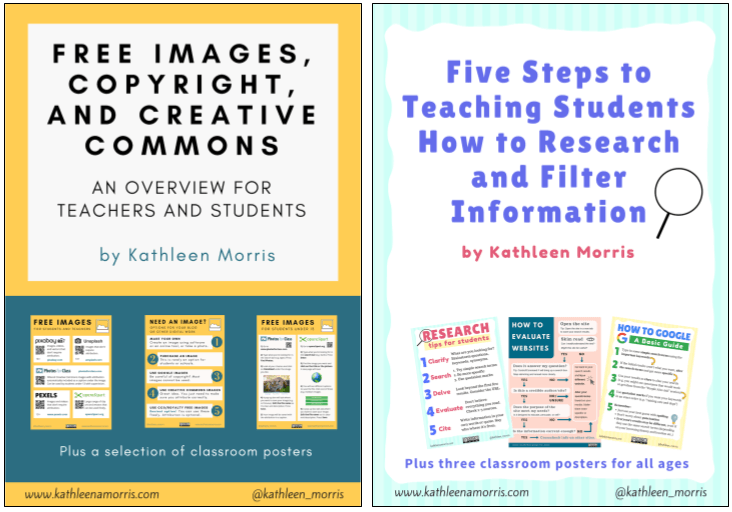 Check out the summary below then scroll down as I dig into the benefits of blogging for teachers and students. 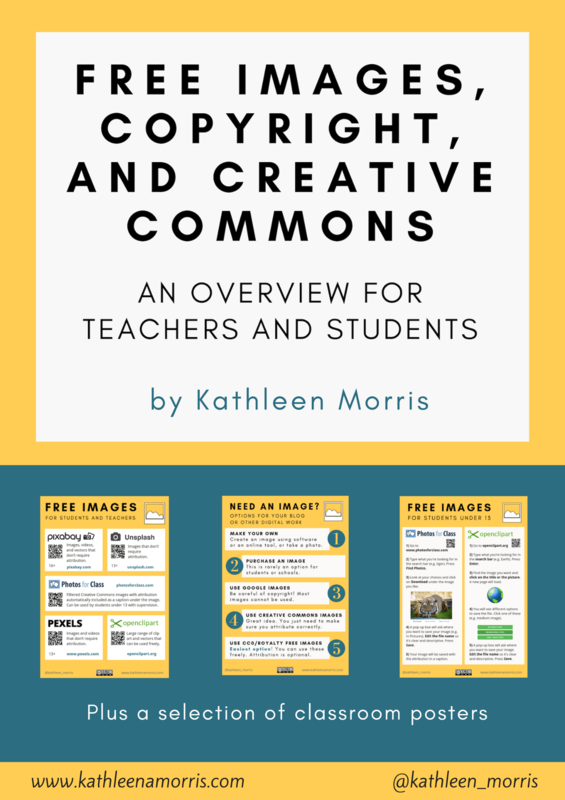 Note: You’re welcome to use this poster or PDF for your own classroom or blog. If you publish it online, just link back to this post! You might be reading this post because you’re wondering whether you should look into setting up a blogging program. Or, you might be gathering ideas so you can convince your school leaders to let you start blogging. Read on to find out more about the benefits of educational blogging. There are many places online where you can publish your thoughts and artefacts including a whole heap of social media platforms. The fact is though, this can be building on borrowed land. Social media algorithms change (e.g. Facebook), platforms close (e.g. Wikispaces), pricing structures change, and accounts are suspended. There can be a lot of uncertainty. The safest option is to have a blog to house all your work and then use other platforms in ancillary ways. Tip: Choose an export-friendly blogging platform like Edublogs, WordPress, or Blogger to ensure your data is portable. A blog can be a place where all the bits and pieces you create and explore in the online and offline world can be housed. This could include videos, podcasts, graphic designs, articles, links etc. Blogs can keep your virtual world well organised (and they’re searchable!). You can keep your blog going year after year. In that way, it’s a great way to keep track of your thoughts, your creations, and your learning. A blog can also be used as evidence of student learning over time, whether or not you set out to capture this. It’s like a digital filing cabinet! 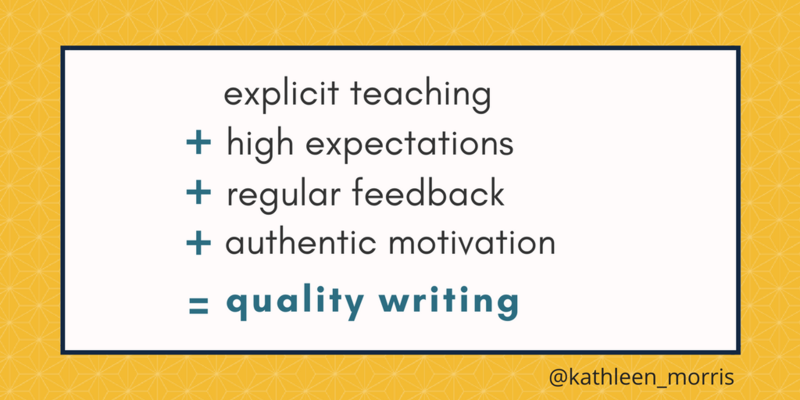 Many years ago, I wrote about how my students had improved their reading and writing skills greatly through blogging. It’s important to note that an improvement in literacy skills doesn’t come automatically with a blogging program. I’ve found that it requires a variation of the following formula. I also found that through integrating blogging into the literacy curriculum, not only did students’ literacy skills improve, but engagement levels increased. Reluctant writers wanted to write for a purpose and students were using blogs to purposefully communicate and converse with others. I’ve heard these sentiments being echoed by many other teachers worldwide. All teachers know that the meaning of being literate has changed. There are so many new literacies and skills that are essential to master to successfully navigate 21st century life. 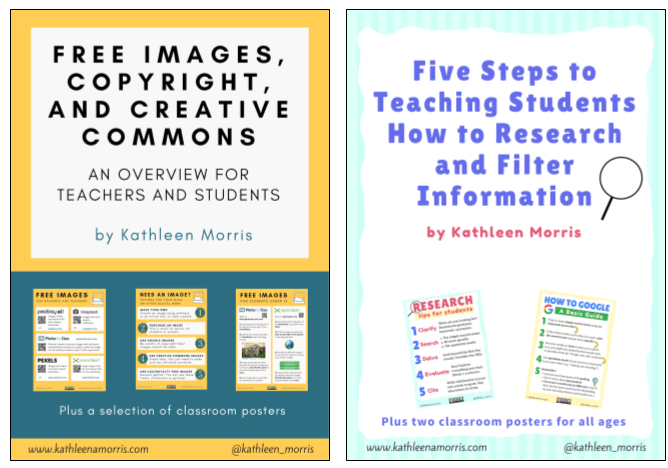 These new literacies include things like digital citizenship, curation, critical evaluation, visual literacies and so on. And then there are essential skills like problem solving, critical thinking, and cultural awareness. Reading and writing online is different. It’s not linear. It’s hyperlinked and requires you to put the pieces of the puzzle together and connect the dots. How do we cover all these new literacies? There are only so many hours in the day. You know what the answer is! A high quality blogging program can offer the perfect avenue for developing traditional and new literacy skills in an authentic and ongoing way. While blogging as an ideal avenue for teaching and learning literacy, blogs can also be used in any subject area: maths, history, physical education, art…the list goes on! Maths can be incorporated into blogging in so many different ways. For example, I used to use Clustrmaps on a daily basis for authentic place value discussions. I also created the Our World, Our Numbers global blogging project to explore maths concepts with other blogging classes around the world. In any subject, you can showcase learning, post reflections, post question prompts, and embed all sorts of tools. Blogging allows you to be creative! This is one of the things I have always loved about the blogging process. Of course, there is the element of creative writing and the opportunity to explore different topics. But there’s also the aspect of problem solving and coming up with different solutions (a skill a blogger always needs). Additionally, blogging lets you express yourself visually through custom themes, headers, photography, layouts, and designs. There’s an art to that…and it’s fun! If you remember that a blog is just a blank canvas, you can innovate and mould it into anything you like! Effective two-way communication between home and school is so important. Many parents and families enjoying using a class (or student) blog as a virtual “window into the classroom”. Through commenting, families can be a part of what is happening in the classroom and have real time access to their child’s education. I also love the way that information published on a class blog can be used as conversation starters at home. Educating families and encouraging parent participation in your blog is something I have written about on The Edublogger. Everyone would agree that teaching students to be safe online is an important issue. However, one-off lessons on digital citizenship are just not going to have a long-lasting effect. Blogging is an excellent method for learning to be a responsible member of an online community in an authentic and ongoing way. I believe the best approach is to neither block young people from being online, or allow them unsupervised access. The sweet spot is in the middle where we work with our students to mentor them and build their skills and understandings. Blogging provides the perfect avenue to keep the lines of conversation around this topic open. 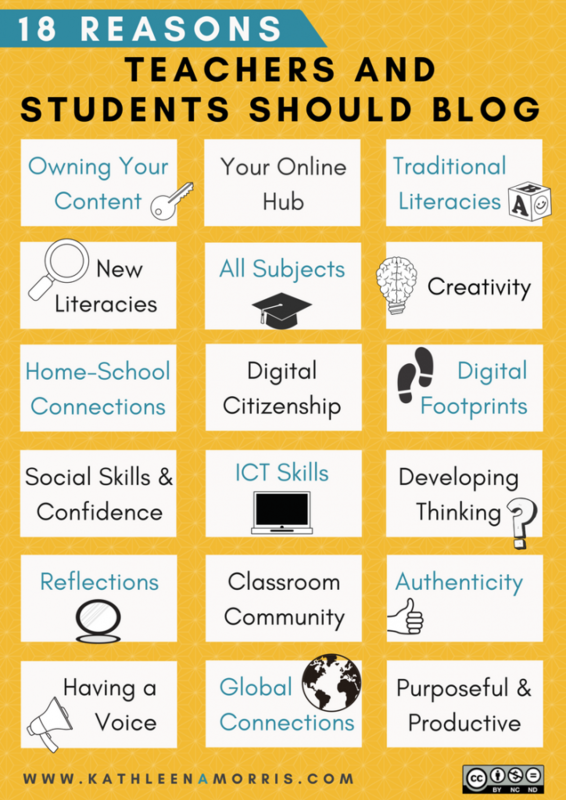 Read more about blogging and digital citizenship in a post I wrote for The Edublogger. One specific area of digital citizenship that deserves a special mention is digital footprints. Put simply, digital footprints are the traces of what an individual does online. There is a lot of negativity associated with this term. The message I like to promote is that we should protect our digital footprints and try to ensure that they are positive. Encouraging students to avoid posting or doing anything online just seems counterproductive. A blog can be used to shape the digital footprint of a teacher or students in a carefully curated and positive way. Of course, you need permission for students to post publicly. While some people may be quick to say blogging and social media can inhibit social skills, I see blogging as a terrific starting point. Blogging can allow certain individuals to practise their skills with communication, conversation, empathy and so on. These can then be transferred to the “offline world”. Many years ago I shared a parent’s perspective in a post about how students on the autism spectrum made progress in different ways through blogging. In the year 2019, it’s essential that individuals can communicate well both online and offline. I’ve also always loved using blogging to explicitly teach students how to be polite and considerate of others. This can be done in simple ways like ensuring you reply to people when they comment on your blog, asking questions to show interest in others, and asking permission before posting about someone else. Blogging assists students (and teachers) to become digitally literate. Through blogging, many skills are able to be discussed and practised, often incidentally. These can range from keyboard shortcuts, coding, Creative Commons, research skills, using multimedia, troubleshooting and a lot more. Some of these skills are more specific to blogging (e.g. using plugins, tags/categories etc. ), while others are more general ICT skills (e.g. using images, managing passwords etc). This learning is all for an authentic purpose rather than through skill and drill exercises. Many bloggers talk about the phenomenon where the process of writing down your thoughts helps to straighten out your thinking, develop your thinking, and basically help you work out what you think. Personally, I find this to be very true. I often have vague thoughts which develop and come to life as I tap away at the keyboard. Constantly consuming information isn’t an ideal way to learn and grow. We need space to be able to process information and reflect. Blogging can be a great way to incorporate regular reflection into the classroom program. Some teachers like to allow this to happen naturally, while others scaffold the reflective process with prompts. Perhaps striving to make your prompts redundant at some stage is a good aim! Creating a blog requires teamwork and collaboration. Students and teachers learn and share together. A real sense of classroom community can be developed through blogging and establishing a class identity. One element I’ve always particularly enjoyed was seeing students ask each other “how did you do that?” This leads to organic peer tutoring which is a joy to see play out. The teacher does not have to be the expert, and the experience does not have to be “easy”. A class blog mascot can be a fun way to represent your classroom community too. In the traditional classroom, the only audience for student work was the teacher and sometimes classmates and parents. Blogs provide a much larger audience for student work. They also offer an avenue for feedback and self-improvement through commenting. I’ve found students really take pride in the work that goes on the blog and want to do their best for their impending audience. Motivation seems to increase when students are writing for a purpose. As Dan Pink says, students need autonomy, mastery, and purpose to feel motivated. When publishing online, as opposed to writing in the analogue way, students have the chance to have their voices heard. What a wasted opportunity to not tap into that! Students can write about their passions, concerns, their learning, and more. They can start to feel empowered about making a difference in the world and they can help others understand them. Of course, this links back to the area of confidence as well. There’s an element of “risk” to put your thoughts out there but with support, this can really be a benefit for students. All of the above applies to teachers who blog too! I have found this to be one of the most exciting benefits of blogging. Blogging can help flatten the classroom walls and offer priceless experiences for students and teachers. A sense of understanding and tolerance can develop and students can learn a lot about the world in which they live. If you’re interested in global collaboration, I’ve compiled a list of tips which might help you get started. 18) Purposeful, Productive, and Fun! We know students (and teachers) can spend a lot of time playing around with things online. Whether it’s looking at social media, watching videos, gaming, or going on a trail of link clicking, there can be a lot of wasted time. We all need downtime occasionally, but why not tap into this interest by doing something purposeful and productive online? Blogging allows you to socialise, consume content, create content and have fun while learning and making a difference. Since I began teaching in 2004, I haven’t come across a program that provides as many benefits to students as a well-run classroom blogging program. This doesn’t mean blogging is better than other digital tools, and applications. It’s just that almost everything can be integrated into blogging. It’s also important to remember that a blog is simply a tool. It’s the application that counts. The benefits for teachers who put themselves out there as bloggers are plentiful too. I hear many people talk about the importance of teachers being “readers” so they’re role models for their students, but what about writers? And learners? And members of personal learning networks? Blogging can provide a really diverse learning experience for teachers and students. It might not be for everyone, and it takes a lot of work to do it well but once you dive in, you’ll reap the rewards! If you’re interested in learning more about blogging, check out my page which links to lots of posts on this subject. Have you witnessed any of these benefits in your classroom? 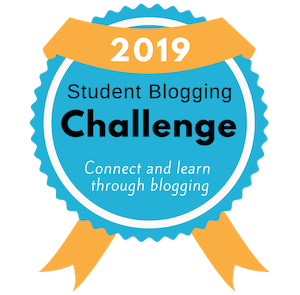 What other benefits can students and teachers get out of blogging? Scroll down to find the comment box. I’d love to hear from you! My only question is the potential of developing a social media space. Maybe this is covered by the idea of an ‘online hub’. I was recently talking with a group of 10 year olds about all the things they’re doing on social media (despite being under age) and it’s a conversation I feel like I’ve had a lot. I think more conversations in school about social media in general would be helpful. There seems to be a big divide between what kids are doing with tech in school and out of school. So I wonder how blogging and other things can bridge this gap! Great post Kathleen! I never thought about allowing students to create individual blogs but I can see the benefits after your post. Do you find that some students are really engaged in blogging while others would rather not use it? I could see how some students would really be behind it while others might see it as a classroom “fad”. You provided some great examples and suggestions I definitely will think about for the future!